Wire dunnage platform racks are a great solution for restaurants, warehouses, stockrooms, and more. 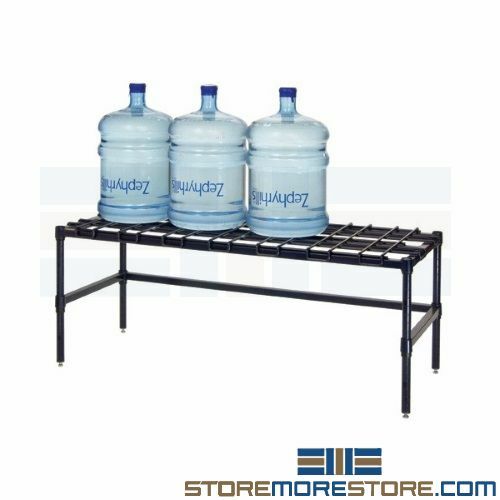 Its durable construction provides sturdy storage for heavy pails, buckets, bulk items, water bottles, and tanks to keep them organized and off the floor. You can choose from multiple dunnage rack configurations, including modular racks, mobile carts, and high-density polyethylene platforms for chemical and freezer storage. With a 1,500 lbs. capacity, the dunnage tracks easily store heavy items off the floor to protect them from damage. The wire dunnage platform racks also allow you to instantly add more easily accessible and tidy storage space to your stockroom. For heavy items that require frequent transportation across the floor, the dunnage racks are also available with wheels. This keeps inventory stored safely and prevents user injury from lifting heavy items. 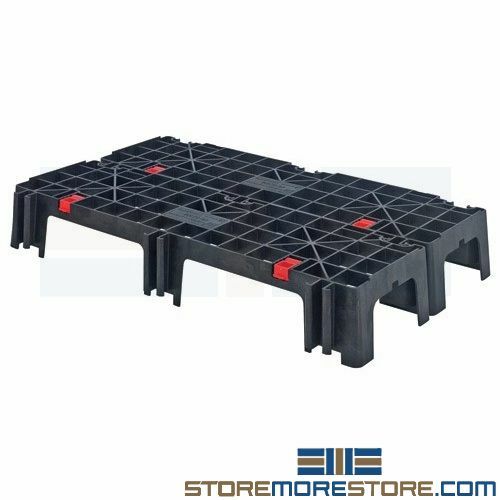 For chemical or freezer storage, high-density polyethylene (HDPE) dunnage platforms are also available. Additionally, these platforms are chemical resistant, waterproof, and freezer safe up to -200°F. Easily snap the platforms together to create forkliftable pallets with a 2,500 lb. capacity for extra heavy-duty applications such as clean rooms and walk-in freezers. 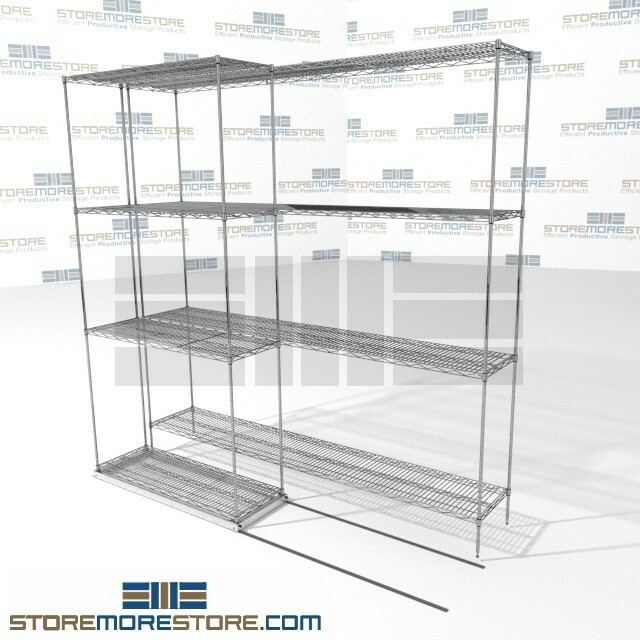 Wire dunnage racks support up to 1,500 lbs. HDPE platform load capacity 2,500 lbs. Mobile dunnage rack load capacity 1,200 lbs. 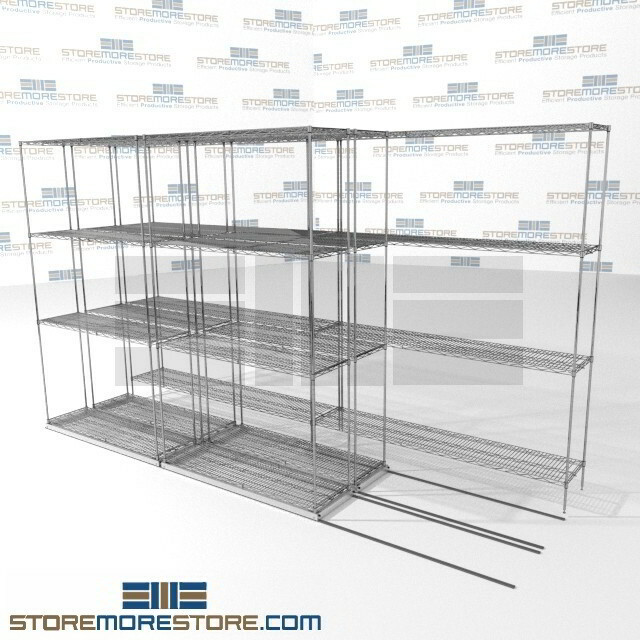 Wire dunnage platform racks are available to buy online and ship within 10-15 business days. Free dock-to-dock shipping included. If you need any assistance or just want some help picking the right solution for you, please call us at 1-855-786-7667.